ThinKom Solutions, Inc. has successfully completed their first ground test of the company's ThinAir® Ka2517 Ka-band phased-array satellite antenna with the SES O3b constellation of MEO satellites. The test was conducted in August of 2018 at ThinKom’s facility in Hawthorne, California, in collaboration with SES Networks. ThinKom's ThinAir Ka2517, the first aeronautical antenna connecting to MEO satellites in ground tests. For the ground test, a vehicle mounted ThinKom Ka2517 aeronautical antenna acquired successive O3b MEO satellites at 13° elevation and successfully tracked them for 30 minute periods while the satellites traversed from west to east. ThinKom said this test is a precursor to a flight test, expected to occur before the close of 2018. This will be the first in-flight demonstration of a ThinKom antenna communicating through a non-geostationary (NGSO) constellation and will demonstrate the ability of ThinKom’s phased-array antenna to auto-track and perform seamless beam switching through aircraft roll, pitch, and yaw motions. O3b is the first NGSO satellite constellation capable of delivering commercial broadband communication services. The constellation orbits the Earth at about 8,000 km. altitude, along an equatorial path, allowing much larger visible Earth angles than LEO constellations currently being evaluated. Bill Milroy, ThinKom CTO, said the the company's unique, patented, low-profile phased-array antennas have been designed for interoperability on geostationary (GEO) and MEO satellites with the agility and switching speed to move seamlessly from beam-to-beam and constellation-to-constellation. 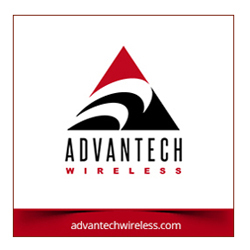 Agility tests have proven that our antenna achieves switching speeds of less than one second, more than fast enough to support beam switching with no interruption in connectivity. The ground test, and the coming aero tests, are important steps in showing the ability of the ThinKom antenna to operate on the O3b MEO satellite network and will pave the way to full commercialization. 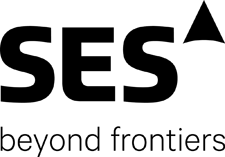 Stewart Sanders, EVP of Technology at SES Networks, noted that innovation in terminal technology is key for scaling SES Networks’ proven MEO system for mass connectivity. The company is delighted to collaborate with ThinKom and to continue growing a partner ecosystem that will redefine the standard for the industry. This development aligns with the SES aim to make it faster, easier and more affordable to expand service reach to customers and their end users.